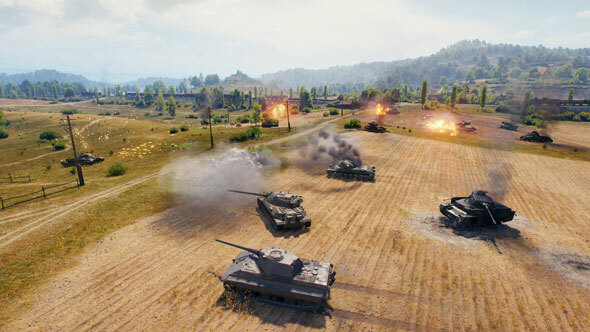 World of Tanks is a relentless machine: a game-as-service sweeping through the free-to-play arena as assertively as a Panzer E100 crumbles the idyll of some hapless European village. Now in its eighth year of existence, World of Tanks has just had its biggest update yet – a complete facelift and engine overhaul in the somewhat misleadingly titled ‘Update 1.0’ (the game’s been out of beta form for seven years now, remember). We visited the Minsk office of Wargaming to see the development process for ourselves, though, really, ‘office’ is a bit of a misnomer. It is more like a command centre; a 15-storey tower looking out over the flat fields on the southern edge the city, conveniently positioned to spot a platoon of tanks should one come rolling in from the surroundings forests. The player-testing room would not have been out of place in the USSR circa 1975, kitted out with cameras, eye trackers, and sensors for sweat, pulse, and brain activity. Also, we are convincedthat there is a one-way mirror looking into the testing room. When we suggested as much to the devs they shot us down with (nervous) laughter. Our suspicions were not calmed. It is safe to assume that the 1.0 update is rooted in a deep, scientific understanding of World of Tanks players. 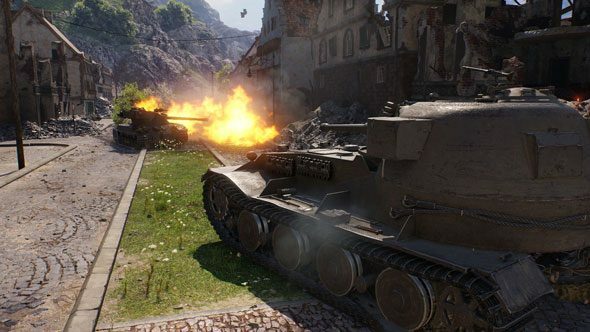 The update itself is a purely presentational one, moving the game onto Wargaming’s new ‘Core’ engine, which involves remodelling all 29 existing maps and 300-plus tanks. It is a huge technical leap, channelling the meticulous detailing that the game is renowned for into features like dynamic lighting, moisture, dirt, and snow. Submerge just a small fraction of a tank in water and just that bit gets wet. Caterpillar-track trails in the snow now directly follow the tank and leave a different impression depending on which tracks you are using. Flat terrain, too, is now realistically rugged – even when you are ploughing across a field, you get a satisfying bounce to the tank’s suspension as it trundles over crop mounds. Barring the new Glacier map, level designs have not changed, but looking at the before and after shots you wouldn’t guess as much. 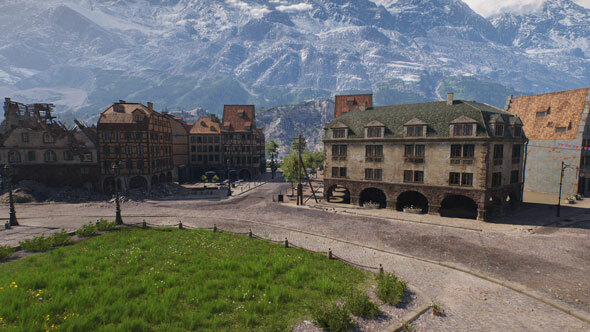 Buildings now pop with detailed brickwork and reflective windows, the sun casts shadows in all the right places, while the mountains on Alpine maps now loom over you instead of diffidently peaking over the horizon. Every rock, hill, and ground texture has been redesigned with more natural contours, creating the sense that these maps are entirely new spaces, even though, in a strategic sense at least, they are not. Accompanying this shiny new look is a reworked soundscape, featuring dedicated compositions for every map in the game, inspired by local cultures. For The Great Steppe map, Wargaming procured the services of a Kazakh throat singer, while the Caucasian map is introduced by a Georgian choir. The British track, in case you were wondering, has all the pomp and bluster of ‘And did those feet in ancient time’ by way of Battlefield. What feelings that triggers will vary depending on your outlook, but we chose not to get into the awkward complexities of British patriotism with the Belarusian sound engineer playing it to us. Each of these pieces is dynamic, mixing different layers at random to create countless remixes of the same core composition. It is the kind of detail that most people probably won’t notice, like the minute scratches, dents, and warps covering all the refreshed (or, in a way, de-freshed) tanks in the game. 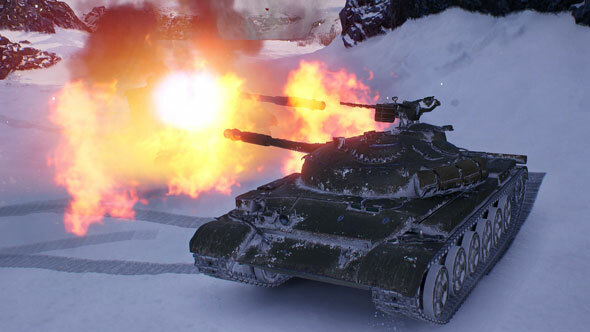 Beneath all this, however, it is very much the same old World of Tanks that has quietly captivated millions of players – no new mechanics, no robo-tanks, no battle royale mode. Despite some diplomatic comments from the devs that Wargaming wants to attract new players, on this evidence the real focus is to double down on those they already have. And that is fine: why risk alienating such a colossal player base just to foist the game on those who probably would have already started to play if they had any desire to at some point over the last eight years? 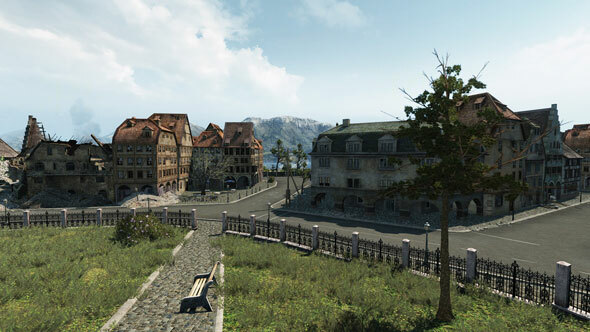 This overhaul of macro and micro-detailing is a treat for the fans, opening World of Tanks up to a future that may yet unveil new mechanics and strategic opportunities down the line. At this point, the 1.0 update is a milestone, and a fitting marker of the game’s earth-shaking success.